Delve into this boudoir-style vintage shop in Eaux-Vives selling original and reproduction period pieces. 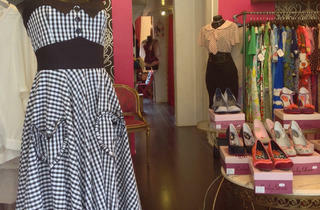 Betty Draper wannabes should take note of this retro hotspot in Eaux-Vives, a cavernous store styled like a period boudoir. 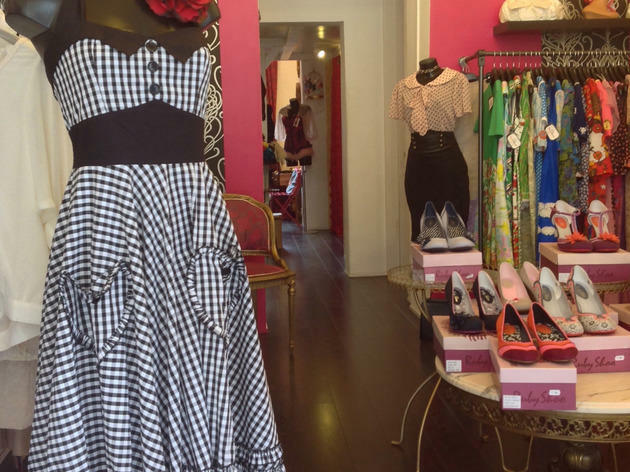 Check out the range of original vintage sourced from Paris and reproduction '50s-style prom dresses with modern fabrics for prices that mean you can still afford to buy a drink when you wear your new dress out on the town. Choose from floaty pale pink A-line pieces with edgy skull-printed fabrics, lace-edged baby-dolls and silky slips in bright jewel colours – think Sandra Dee’s sleepover with a bit more edge. Owner Julie looks the part, knows her stuff, and can help with fittings and tailoring.